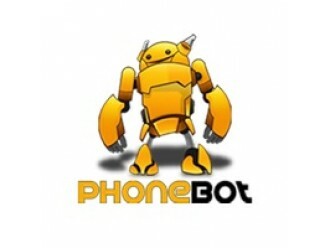 Established in 2012, Phonebot is a market leader in sustainable technology products. Our aim is to reduce carbon footprint by reusing or recycling technology products. From acquiring a gently used product, our team of highly qualified technicians grades and refurbishes each device and only the most delicately used are on sold to consumers in our shops & online. Devices that do not meet the criteria are then either exported for overseas use or used as parts elsewhere. Hundreds of positive customer testimonials on various review platforms testify our commitment to providing excellent customer service and after sales support. Our team of geeks based in Melbourne are reachable 9am to 9pm AEST via Messenger app for any troubleshooting or sales related queries. With 2 convenient locations in Melbourne, our trained staff is busy assisting customers make sustainable and Affordable repair choices every day of the week. Our focus is gently used, ex-demo, change of mind and corporate buy back devices. We're rated #1 Gumtree Seller by our customers for quality of service & product range. We at Phonebot values every customer and provide a meaningful experience when offering our products and services. With this, we have developed a state-of-the-art website that’s easy to navigate, giving you fast, convenient and uncomplicated experience. Browsing through our page can already give you an idea of our expertise, promotions and other essential information you are looking for. Our website is robust and efficient in its own. We integrate all our social media accounts for you to find us whatever platform you’re most active in. In the world of e-commerce, we’re moving to greater heights with our intelligent Facebook Messenger bot. It is the first of its kind, equipped with the Artificial Intelligence engine, providing an easy and real-time response to customer queries. Overall, this AI engine helps us deliver a seamless and compelling service for you to enjoy. Aside from the fast query response, we also provide product illustration videos on YouTube. In our channel, we highlight the key features of newly released phones, as well as create videos to demonstrate the process involved in battery replacement and screen repair. You can also check the quality of A Grade smartphones we offer, ranging from Apple, Samsung, Oppo, Google and more. Shopping on our website is a lot easier, convenient and safe. Details about the products are posted for you to compare devices and check its features. Once you’re ready to purchase, you can enter the payment details and delivery address. Know that our payment processing system is completely secure and reliable, making sure that your card details are fully protected. To get your order, you can either have it shipped directly to your home for free or pick it up from our stores in Melbourne. We make sure that customers like you can maximize your shopping experience at Phonebot. Whether you’re planning to have your phone repaired or purchase a refurbished one, know that we have a dedicated team of after-sales support to entertain your requests and queries. We work doubly hard to give you superior customer service experience you deserve through continuous improvement of our website and other social media platforms.